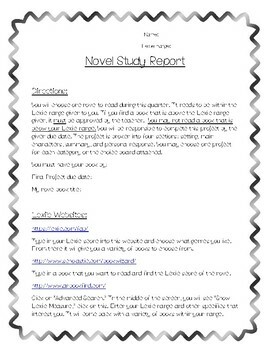 This project is for independent novel study for your students. I have Lexile ranges for each of my students, then they are to find a novel within their range to read independently. You could also use other types of reading levels. Sheet includes 3 websites with explanations on how to find books at the child's reading level that interest them. 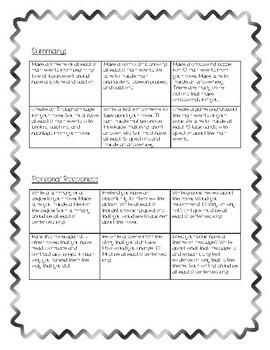 There are mini projects in four areas: setting, characters, summary, and personal response. 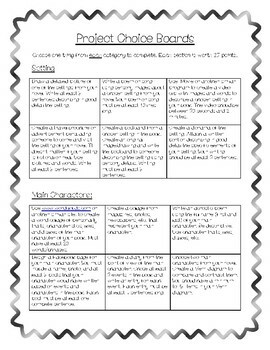 Each section has 6 project ideas in a choice board. 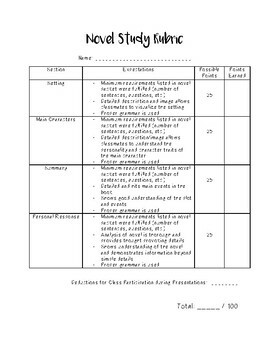 A rubric is included for each area along with a spot for deductions for class participation/poor behavior during presentation time.